months. Normally, you lose about 100 to 125 hairs a day, but after delivery, you may be losing about 500 a day. This can be very disturbing, but try not to worry too much — you won’t go bald! According to babycenter.com, If the hair loss doesn’t seem to be slowing and you’re still losing lots of hair six or so months after delivery, check in with a dermatologist or your healthcare provider. It may be a sign that you’re low on iron, which is not entirely uncommon for new moms. Hair loss in pregnancy is very natural in women, which is why it’s number one on the women’s corner… for women. According to health.com, Emotional stress is less likely to cause hair loss than physical stress, but it can happen, for instance, in the case of divorce, after the death of a loved one, or while caring for an aging parent. More often, though, emotional stress won’t actually precipitate the hair loss. It will exacerbate a problem that’s already there. What to do: As with hair loss due to physical stress, this shedding will eventually abate. While it’s not known if reducing stress can help your hair, it can’t hurt either. Take steps to combat stress and anxiety, like getting more exercise, trying talk therapy, or getting more support if you need it. Vigorous styling and hair treatments over the years can cause your hair to fall out. Examples of extreme styling include tight braids, hair weaves or corn rows as well as chemical relaxers to straighten your hair, hot-oil treatments or any kind of harsh chemical or high heat. Because these practices can actually affect the hair root, your hair might not grow back. In addition to avoiding these styles and treatments, the American Academy of Dermatology recommends using conditioner after every shampoo, letting your hair air dry, limiting the amount of time the curling iron comes in contact with your hair and using heat-driven products no more than once a week. Overzealous immune cells attack the hair. Unfortunately, hair loss of this type is “scarring,” meaning the hair will not grow back, says Dr. a Hammonds via health.com. If the hair loss is mild, you might want to try a new hairstyle to camouflage the damage. Short hair, for instance, is stronger than long hair and may hide bald patches better. 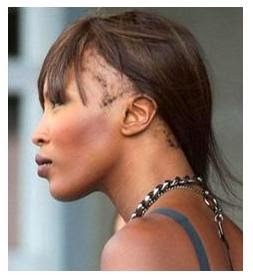 Trichotillomania, classified as an “impulse control disorder,” causes people to compulsively pull their hair out. “It’s sort of like a tic, the person is constantly playing and pulling their hair,” says Dr. Glashofer. Unfortunately, this constant playing and pulling can actually strip your head of its natural protection: hair. Trichotillomania often begins before the age of 17 and is four times as common in women as in men. Some of the drugs used to beat back cancer unfortunately can also cause your hair to fall out. The pluck test is conducted by pulling hair out “by the roots”. The root of the plucked hair is examined under a microscope to determine the phase of growth, and is used to diagnose a defect of telogen, anagen, or systemic disease. If you visit a doctor, there are treatments for certain hair loss indications. But in the case where there are no treatment, you could go for a surgery or hide the hair loss. Hiding hair loss is very common among women and there are tons of ways to do it, depending on where it occurs. A woman will never go bald if she loses hair after pregnancy. She’ll just need time to rest. If hair loss occurs in a young man with no family history, drug use could be the cause. Hair loss does not make a woman evil or inferior, so she should be well taken care of by her husband. After all, hair loss before or after pregnancy is not another infectious disease.